As technology is progressing, the use of wearables for activity and health reasons is on the rise as well. Wearables are masters at tracking your every move—from the minute you wake up, to how many steps you’ve taken and where, to your heartbeat, and everything else. They take all this data and present you with a picture of your activities and health in order to push you to do better. But with that, there’s also the great security risk that comes with anything that stores your data in the cloud. This is especially true as more manufacturers are in a rush to supply the growing demand. With this greater rush, some cutbacks are made. Although the technology may be great for you and convenient for your health goals, there are some important privacy and security issues you should be aware of. 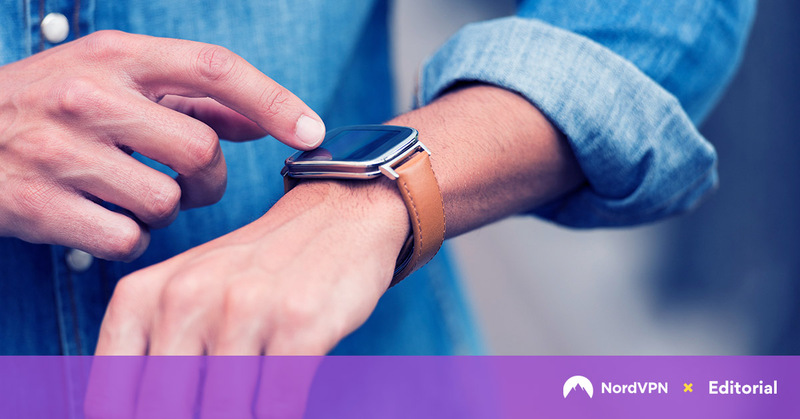 Today we’ll look at the 5 most important security issues for wearables. One of the weakest points of wearables is that the information that is stored on them is completely unencrypted. Even worse, there is no PIN needed, no fingerprint scan or any other authentication required. If you lose your wearable, anyone will be able to read the data stored on the device. Many wearables are able to take audio and video from you without you even knowing it. If someone gains access to your wearable device without your knowledge, they may be able to capture photos, audio and video of you. Many wearables that are being pushed out, on the low end as well as the high end, lack adequate patching and updating. These wearables all have their own operating systems and applications. The manufacturers pushing out these devices are cutting back on fully providing adequate protections. Once they reach the threshold of a minimal viable product, they ship it out and try to make as much profits as possible. Usually they move on to the next device, leaving the current one underprotected. This is a golden opportunity for hackers. A similar trend can be seen with IoT (Internet of Things) devices, which because of their vulnerabilities, were instrumental in the October Dyn DDoS attacks. Another big problem is that the data, besides being unencrypted on the device, is also unencrypted in transit when it is syncing with the company servers. To various organizations (both private and governmental), this type of information can be very valuable. There are unfortunately numerous points for hackers to intercept and steal this information. A lot of this lack of security comes down to a lack of compliance. These manufacturers have no larger compliance necessary to adhere to, and so they go with the bare minimum. Wearable manufacturers are now left to self-regulatory practices, which, as always, only ensures that there is no major regulation whatsoever. Until governments establish these regulatory bodies for wearables, the situation will only continue to get worse. That point may not be on the horizon anytime soon, so it will be up to you to remain, as always, vigilant. Do you use any wearable devices? If so, do you take any specific security measures to make sure your data is safe? Let us know in the comment section!